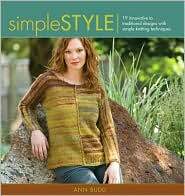 Well, not technically a French Girl, but Kristeen Griffin-Grimes uber cool, French Girl Knits book! Need some criteria here….. ok, how about this….. your favorite needles! Gone!! Congrats Kelly, your book will be on it’s way to you tomorrow. Ha ha ha ha, keep an eye here, there are more giveaways coming….. I managed to secure another copy of the very awesome Knitting Socks With Handpainted Yarn book, by Carol Sulcoski, so it’s going out the door. Giveaway! Harmony Guides 101 Stitches To Knit Card Deck!